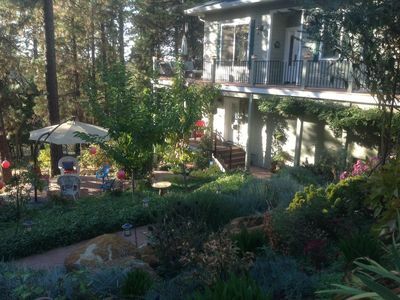 Sparkling Pool, Permaculture Gardens, Nearby Golf, Gardens, Hikes. 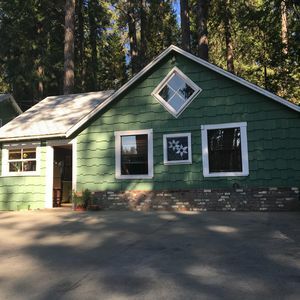 see our website for fun posts about our cottage and the surrounding community! 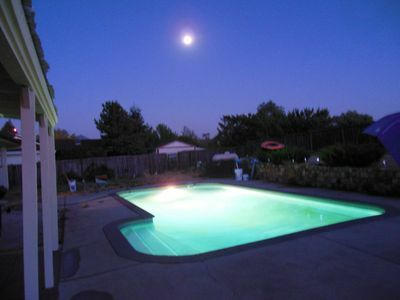 The sky is the limit with broad vistas, great sunsets and sunrises, stars, and moon rises all seen from the vantage point of a private pool in a large and very private, fenced back yard with terrace and garden. 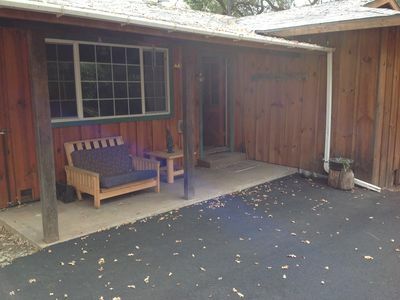 This 1700 sq ft home has an open feel and is located within 1 block to the gorgeous Nevada County Golf Club. 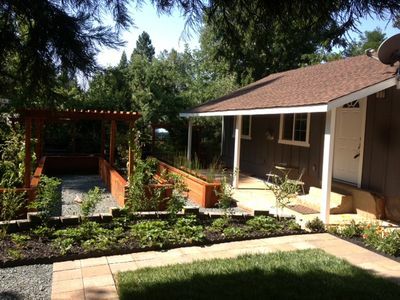 For families and active adults this home is close to walking/running/biking trails and Club Sierra health club. For seniors or those with health issues. 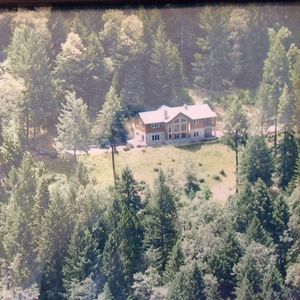 or those visiting hospital or retirement home inpatients, this house is located near healthcare including hospital, outpatient services, major Nevada County retirement facilities. 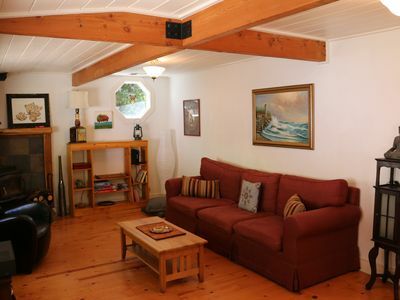 For visiting families, with in-town connections, or for globe traveling tourists, this home is centrally located with lots of parking, including room for RV or boat. 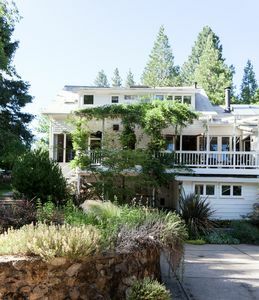 It is also close to Sierra College and Nevada Union High School. Enjoy the in town Orchard and gardens! Apple, Plum, Peach, Apricot, Guava, Pear, Cherry, Mulberry, Pomegranite trees on site. All Pesticide free!! and High bush blueberry bushes should be loaded this summer! 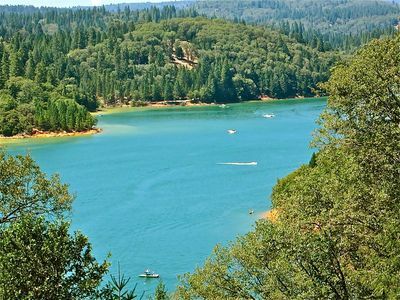 Walking trails: So many! 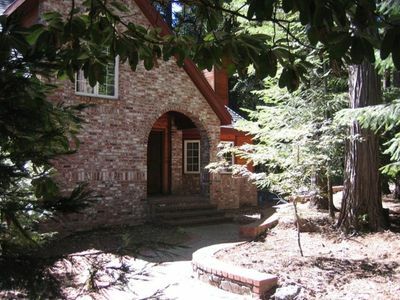 starting with right outside property, and within 1,5,8,10 miles. 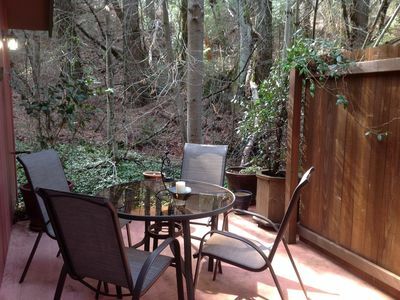 Great for gatherings, romantic getaways, holidays, vacations, retreats, clubs. 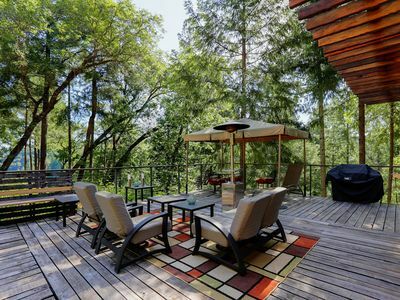 Beautiful Mountain Home Surrounded by Evergreen Trees on 5 Acres of Land. 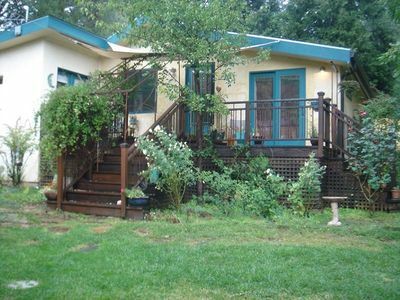 Beautiful 2 bed, 2 bath, close to town.